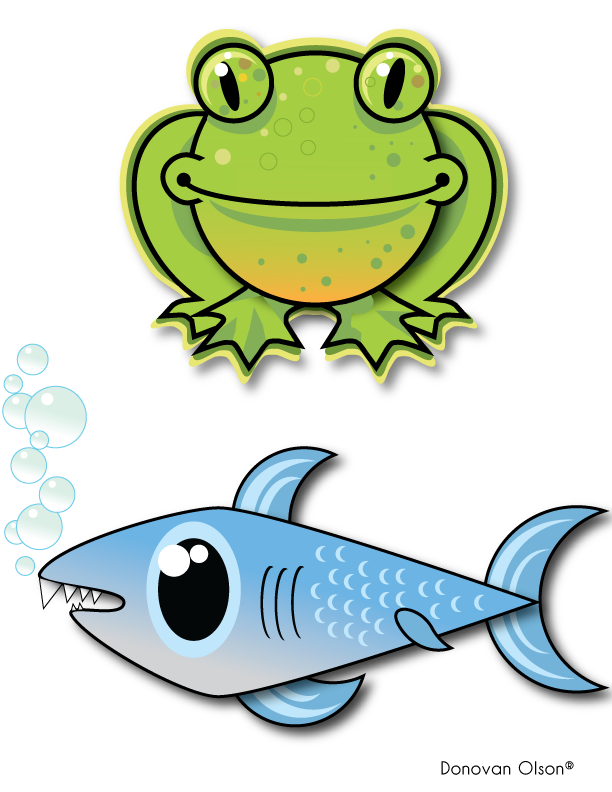 A Frog and a Fish created in Adobe Illustrator for my graphic design class. A link to the PDF file is at the bottom. This entry was posted on September 5, 2010 by donovanolson. It was filed under Graphic Design and was tagged with Adobe, Adobe Illustrator, art, Cal state san marcos, CSUSM, design, Donovan, donovan olson, fish, frog, Graphic Design, Illustrator, shark.